Parking is available in the parking lot adjacent to the restaurant. 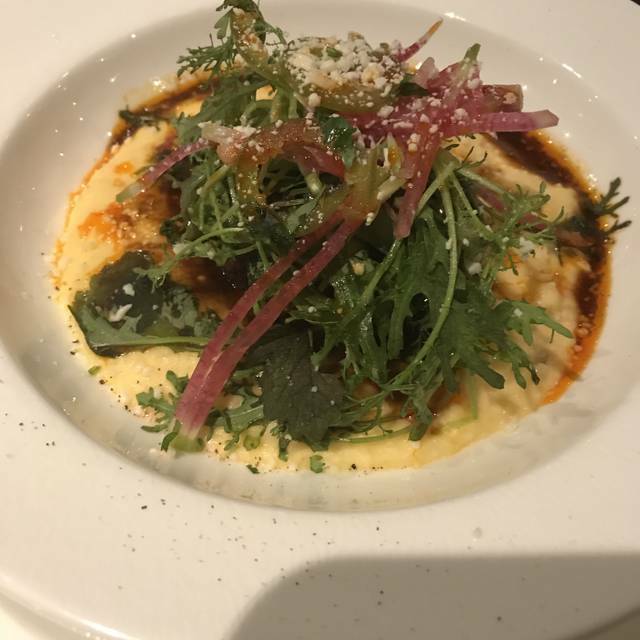 As the only locally-owned full-service restaurant at the Town Center, James Beard Award-Nominated Chef Tom Gray and his team serve up seasonally-inspired, sustainably-sourced inspirations for lunch, dinner and Sunday brunch. Enjoy dishes like our famous Chicken & Waffles, Housemade Gnocchi, and Seared Sustainable Salmon as well as a full menu of Vegan, Vegetarian and Gluten Free options. Be sure to save room for one of Chef Erika's tempting desserts! 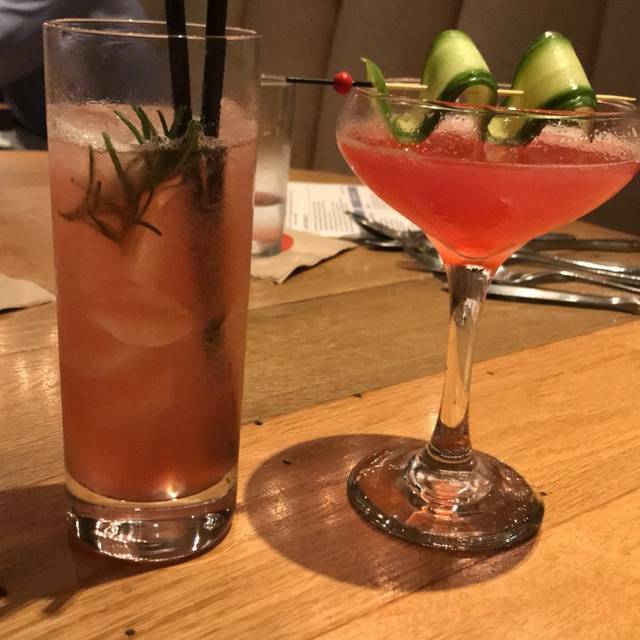 Handcrafted signature and classic cocktails are made with as much flair as our menu and complimented by full selection of local brews on tap and international wine list. Inviting urban-rustic decor and outdoor dining spaces provide the perfect backdrop for your visit and the buzz of the open kitchen and bars make for a lively atmosphere. Private and group dining, children's menu and Happy Hour available. 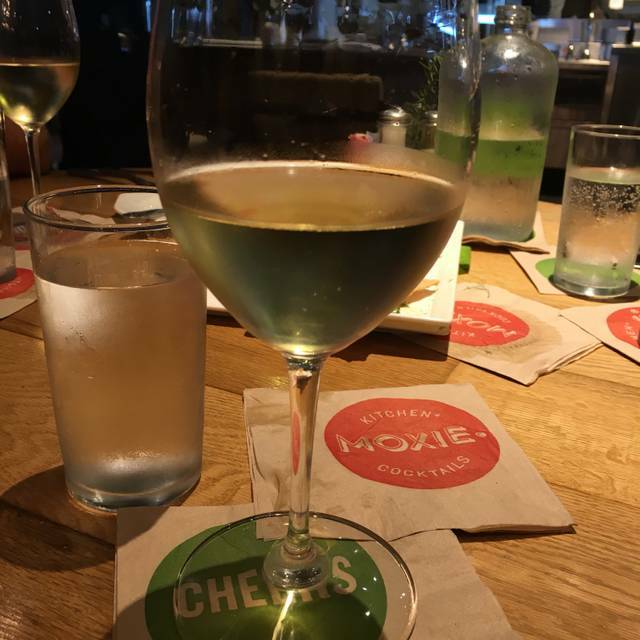 Handcrafted Happiness awaits you at Moxie, your "local" at the Town Center! Enjoy a 1/4lb. Moxie burger with your choice of a local draft beer or Four Roses Yellow Label Bourbon for just $10. Available all day, every Monday. Enjoy brunch and bottomless mimosas every Sunday from 10 AM - 2:30 PM! 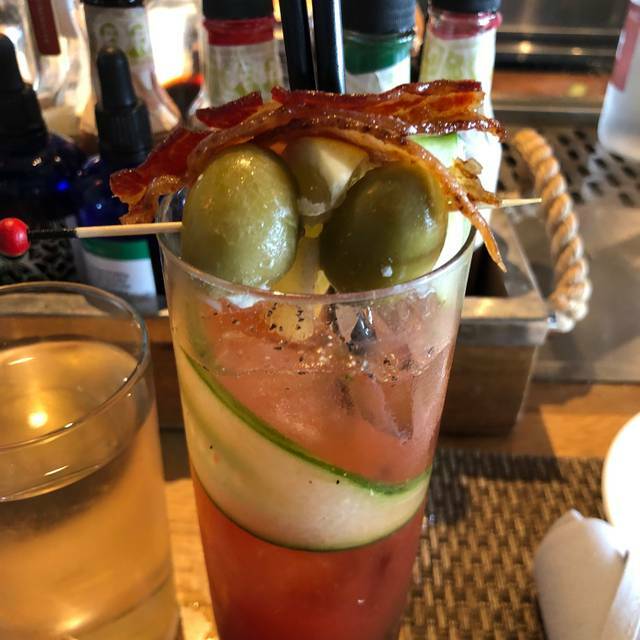 Enjoy specially priced drinks and bar bites from 3 - 7 PM daily and 10 PM 'til close on Fridays and Saturdays. From 3 - 5 PM all Happy Hour drinks are just $4! Enjoy our selection of wine bottles at half price, all day every Wednesday! Moxie Kitchen + Cocktails will be offering a special Mother's Day Brunch Buffet on Sunday, May 12th from 10am - 2:30pm. Our brunch buffet includes Moxie favorites, brunch classics, a pancake bar, biscuit bar, omelets, carving station and more! Our regular brunch menu will not be served. Moxie Kitchen + Cocktails will be offering a special Easter Brunch Buffet on Sunday, April 21st from 10am - 2:30pm. Our brunch buffet includes Moxie favorites, brunch classics, a pancake bar, biscuit bar, omelets, carving station and more! Our regular brunch menu will not be served. Darius & the gentleman with the cool mustache & glasses (Sorry, was too distracted to remember his name!) took care of my party of 10. They did an amazing job. Love Moxie. Great food, great service. Love this place. Loved the corner seat upstairs!! Cool atmosphere and good food! The food took a little bit to come out but it was a busy Saturday night and we had a large group so what else can you expect! Homemade soda (Papa Smurf) is awesome! the menu never changes. Would love to see something new. Seasonal, nightly specials. The same menu over time gets tiring. The Bloomin’ Brussels Sprouts are fantastic! As well the Lemon Herb FF’s. Wish I could have gotten a veggie plate though. The noise level was a little much with a birthday party across from us. All in all I absolutely recommend this restaurant. We’ll be going back for sure. The cutest little place that exceeded my expectations when I randomly picked it on yelp. I was visiting Jacksonville I wanted a nice brunch place before heading back home. I was pleasantly surprised that they are not a chain and they serve locally grown/farmed food. Everything is fresh and cooked to order. The service was impeccable and the vibe was chill. I will definitely return whenever I am in Jacksonville. Amazing time!! 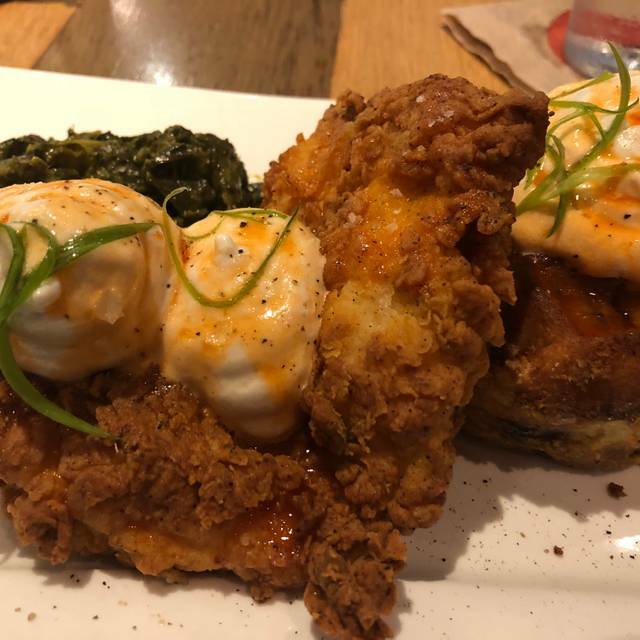 We have been bringing all of our out of town guests to Moxie's Kitchen and you guys never disappoint!! The food is good and the servers are friendly. However, they need to up their game a little: make sure everyone has the proper utensils to eat their meal and bring requested items (fork, hot sauce, etc) a little quicker. Good recipes but inferior rubbery import shrimp. For shame... in the shrimp capital of the southeast. No “locally sourced” restaurant in the area should try to get away this. This was my second time at Moxie. First time the food was awesome. This time not so much. Suggest avoiding the meatloaf. The pancakes were the best I’ve ever had! Delicious burger as well. I wish there were dessert options! 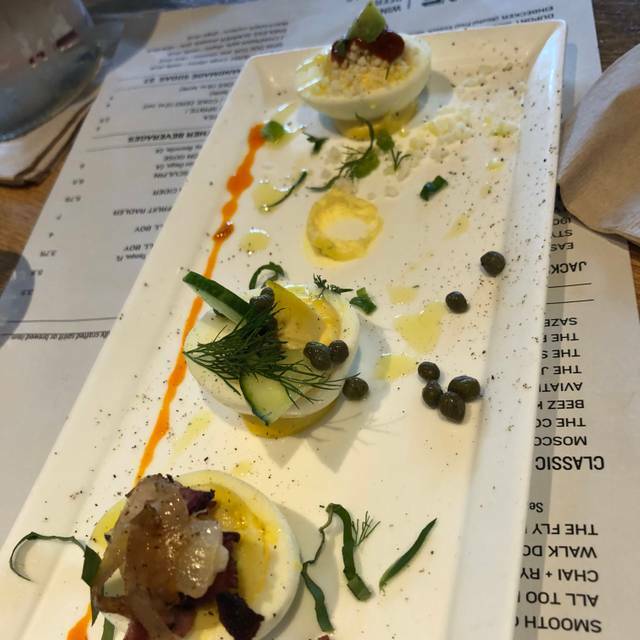 The food at Moxie is always consistently delicious and unique. The service is dreadfully slow. We ate brunch at 10:30 am on a Sunday morning, gorgeous day. Not packed. Way way too slow for food and drinks. Our go to restaurant anytime we go to Costco. Never a disappointment. If there ever is an issue, they will more than make it right. The brussel sprouts were cooked perfectly. Very healthy options and yet very tasty. Power bowl was delicious! Not the place for quite romantic dinner. Awesome service! Awesome food and drinks! Food was so tasty and the alcoholic beverages did not disappoint! Will definitely be back again! Great dinner. Only caveat was that I mentioned when I booked via OpenTable that it was for my anniversary and the restaurant didn’t acknowledge that during our visit. We were traveling and we like to try “local” places rather than chain restaurants. We visited on Sunday night. Service was very good with good suggestions. 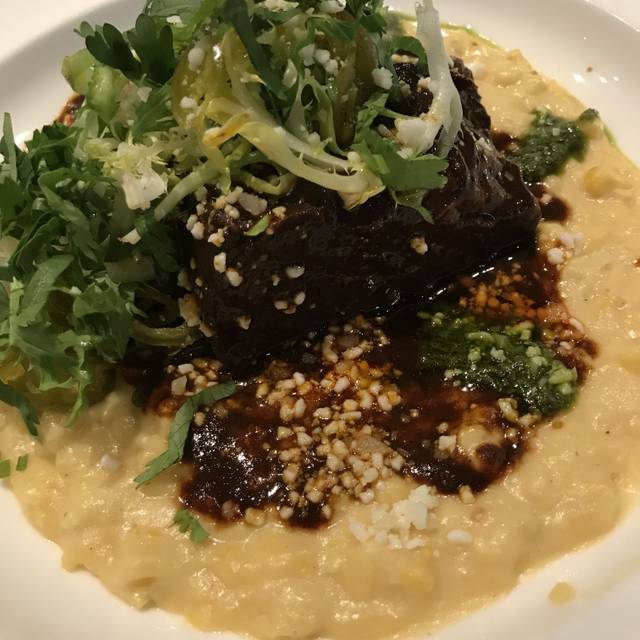 The short rib and grits was very good. The take on chicken waffles was original. The waffles were done like bread pudding. Delicious with the maple cream! The only bad thing I would say was the desserts had too much of a “coconut” theme too then. But, I don’t like coconut. We had an enjoyable meal and time. I planned dinner to smoothly go into a surprise birthday reception for my husband and everything went perfectly. Thank you to Moxie’s waitstaff both at our table and during the cocktail reception! Our server was somewhat abrupt and needs to be "Southernized. "She was otherwise a decent server. The food was very good and well presented. Everyone in my party enjoyed this place and will come back! First time there and was not impressed. The food was nothing special, the wait was long and it was overpriced. Excellent drinks and the food is always amazing!! The PBR-battered cheddar cheese curds are fantastic, ask to have bacon added on top!! So I have to say the evening started out rough. We sat outside and it was a bit chiller than expected which moxie has no control over so I don’t blame them for my chilliness. What was rough was our waiter came brought us water and then promptly forgot about us. We sat for a while and I even had time to go get a jacket out of the car! Eventually he came back and jokingly I suggested I thought he lost his way to our table and he came clean about forgetting us. I have to stay he and the manager redeemed themselves. We got two appetizers and a percentage off our bill. (None of which we asked for). He was very attentive the rest of the evening and everything was fabulous. Mmm. Pbr cheese curds... ahhh. I even forgot I was chilly. 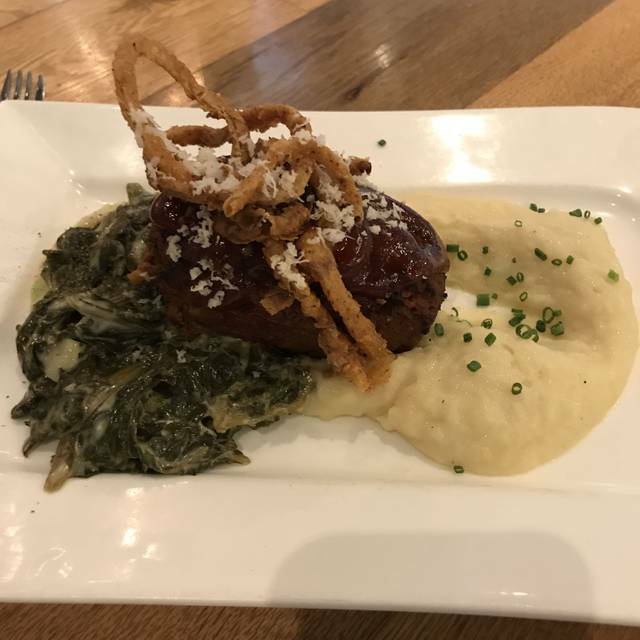 My husband's brother was visiting from New York, we picked him up at JAX, and before heading home to Amelia Island, we wanted to provide him with a World-class dining experience. Moxie filled the bill beautifully! Chef Tom Grey knows better than anyone, how to do it!!! The ambiance was energetic, yet comfortable and relaxed; the service was impeccable. We started by sharing two appetizers among the three of us; with choices of the exotic and the familiar--the Seared Octopus with brussels sprout, kale slaw with ginger-peanut sauce, garlic rice crisps, and the Burrata with golden beets, toasted hazelnuts, pomegranate glaze, upland cress were both outstanding! I'm gluten-free, and the staff and kitchen were superb in substituting gluten-free bread (by the way, that was the best gluten-free bread I've tasted anywhere!) Our delicious, cooked-to-perfection entrees Dayboat scallops and Salmon arrived perfectly timed. The wine list was vast and reasonable. I have given up Chocolate for Lent, so after both said; we don't do dessert. They shared the Chocolate Buttermilk Pie and left nary a crumb. New York has nothing on Moxie Kitchen + Cocktails. All in all, we had a five-star, world-class experience, without the new york prices, and we can't wait to go back again! The chef was such a good sport, although super busy, he agreed to let my husband take a picture of the two of us. Thank you, Chef. first the hostess said that she didnt have my reservation-which happens. but then i got a notice from open table saying that i hadnt shown up-annoying. My husband and I had an early dinner at Moxie and sat outside; the water view and heater made the the setting pleasant. We ordered the Brussels sprouts and smoked fish dip from the Happy Hour (till 7 PM) appetizer menu, along with a craft beer and glass of Chardonnay. We both had the small portion of Jambalaya and corn bread for our entree. All food and drinks were delicious and host, Mike and server, Bruce were outstanding. 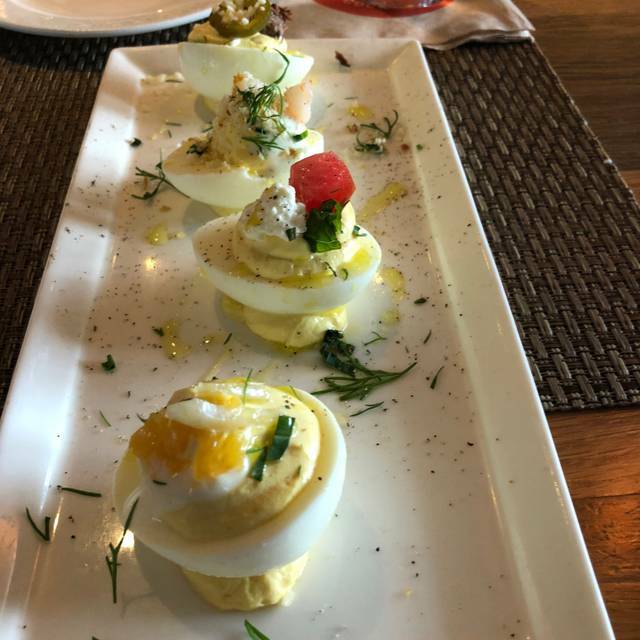 We consider Moxie to be one of the best restaurants in Jacksonville and like the fact that it’s locally owned. We will be back! For the price of the food it tasted horrible. My husband and I paid over 100 dollars and the highlight of the our whole meal was our appetizer. The seared octopus was great and the French fries. Kinda on the soggy side but it was okay. The server was pretty but the service we received from her was horrid. Excellent food and timely, courteous service. Best palmetto cheese appetizer anywhere.